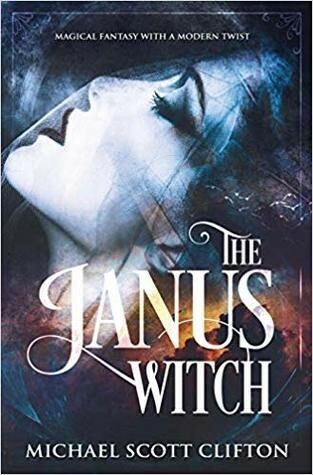 The Janus Witch tells the story of how a coven of evil witches, led by Morgana, is forced to use a rapidly conjured spell which allows their escape in time travel to modern day Texas. Robert Lockstone, a renowned witch hunter was in hot pursuit which necessitated the spell, takes advantage of the portal to follow the witches and extract his vengeance for Morgana’s merciless actions. The character development is extensive for all the cast, with the pure evil heartlessness of Morgana highlighted early in the story when she takes control of two in the hunters’ party. She showed her absolute control over her captives as she caused one lad to strike out at another. The dagger’s sharp tip halted inches from Edward’s chest. A warm, wet stain spread from his breeches, the battle lost to control his bowels. The time travel spell allows the witches to escape but they are separated in the foreign world of modern day East Texas. Tressalayne is lost to amnesia for a long time and under the long-term care of Dr. Lucus. He brings her back from the brink of death in more than one way. I enjoyed learning about Dr. Lucus who at first blush is a saint, but has background baggage that makes him the man artfully portrayed. The details on this character and evolution of all the characters makes this fantasy and futuristic romance hard to put down. The relationship between the doctor and the woman who lost her mind kept me on the edge of my seat and picking sides as I turned the pages. I would love to know if you found yourself as involved with the characters when reading. Not only does this story deliver on the twists and turns of greed, lust, magic, revenge, and romance, but it portrays these events in a manner that paints them into my minds’ eye in living color. If you enjoy a view to the inside of black witches’ spells, potions, and evil temperaments, then grab it now. Perhaps it is the evilness that captivated me to rush to the end. I met Mike Clifton at the Fort Worth Bookfest and was immediately drawn to the cover. The cover artwork is captivating and very aligned to the main character, Tressalayne. I am glad I did and would recommend this fantasy / romance even if not your typical genre. This is not Mike’s first novel and I suspect it won’t be his last. He has a passion for storytelling that adult readers will enjoy. Follow him and find out if you can meet him at a festival. 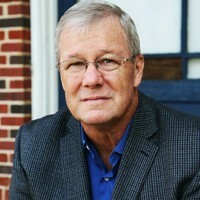 Michael Scott Clifton, public educator for over 38 years as a teacher, coach, and administrator, currently lives in Mount Pleasant, Texas with his wife, Melanie and family cat, Sadie. An avid gardener, he enjoys all kinds of book and movie genres. His books contain aspects of all the genres he enjoys…adventure, magic, fantasy, romance, and relationships. He has been a finalist in a number of short story contests with Edges of Gray winning 1st Place with Texas Authors. Clifton’s fantasy novel, The Conquest of the Veil, won a First Chapter Finalist award. Professional credits include articles published in the Texas Study of Secondary Education Magazine. Clifton’s latest book, The Janus Witch, the July Book Cover of the Month, is a featured book on the We Love Indie Books website. Currently, Clifton is completing Book I of The Conquest of the Veil, which will be released in March 2019. He can be reached at mike@michaelscottclifton.com. 2 replies to "The Janus Witch"
Great review! I loved this book as well! Not a genre I typically read but it was recommended to me so I picked up a copy and am glad I did! Many thanks for the comment, Dana. Mike does know how to craft a good story.